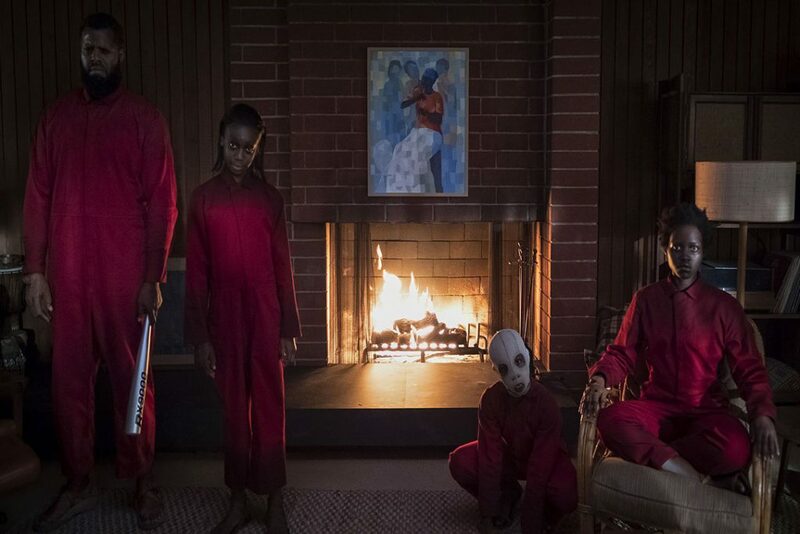 Since the beginning of time, there has always been The Other: a group society deems to be unworthy to fit inside the imaginative box of “normal.” Jordan Peele’s sophomore effort, Us, tells the tale of a middle-class family that’s being stalked by their doppelgangers (the Tethered) while they’re on vacation. Peele’s innovative mind constructs another trip into a Twilight Zone type of world where people are confronted by a new type of The Other. 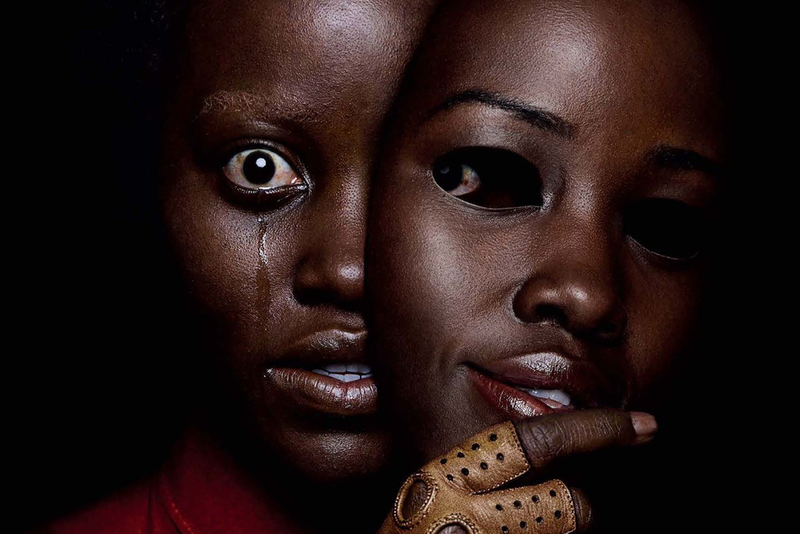 Lupita Nyong’o stars in the lead role, and she’s joined by Winston Duke, Shahadi Wright Joseph, Evan Alex, and Madison Curry. Written and directed by Peele, Us is a masterfully crafted home invasion slasher mixed with horrific science fiction. The screenplay isn’t always completely logical, as you have to make a few leaps, but its layers and twists are so juicy and thought-provoking that it doesn’t really matter. Even if you guess right at what happens next, you find novel concepts from a fresh perspective right after you pat yourself on the back. Peele is a meticulous director, as every single detail in each shot means something. Yes, even the Thriller shirt, which hints at duality if you think about the music video (or MJ himself). Peele also writes the family out to be a smart bunch, avoiding the horror movie cliches of people splitting up for no reason, tripping over things, or not arming themselves. And if you’re a film geek, there are references to a slew of horror films, such as Jaws, The Shining, and The Lost Boys. Peele’s direction is just as exceptional as his writing. From the callbacks through blocking and the tense, quiet scenes where the Tethered are creeping around with their shiny gold scissors, Peele is in full control in the driver’s seat. The violent, bloody scenes are effective in cranking up the intensity, but they are also revealing in terms of how the characters handle them. The movie also contains one of the most beautifully shot, dance-with-the-devil fight scenes put on celluloid with the assistance of a haunting remix of Luniz’ s “I Got 5 On It.” Not to mention, the sound editing and score couldn’t have been better. Somebody give Lupita Nyong’o an award because she is brilliant in this film. Her dual roles as Adelaide and Red are handled perfectly. As Adelaide, Nyong’o is emotionally crippled with what is seemingly post-traumatic stress, yet subtle mannerisms tell another story. Her performance as Red, the raspy-voiced underground dweller is insanely macabre, yet you’re still able to empathize with her, making you ponder about who you should be investing in as a protagonist. This is definitely one of the best performances in her already storied career. Proper praise must be given to all the actors making up the Wilson family, as each one had to take on two roles as well. Duke Winston as Gabe, who is the sit-com father of the squad, gives us comedic breathers throughout the movie. Also, Shahadi Wright Joseph and Evan Alex, who play the Wilson children and their Tethered counterparts, both give eerie performances to crank up the creepy factor. Even the upper-class friends who are depicted by Elisabeth Moss and Tim Heidecker are deliciously unnerving. Us is a powerful tale about The Other where it essentially pits the lower-class (represented by the Tethered) against the upper-echelon of society. The privileged and powerful define themselves by stepping on those labeled The Other, such as the racially segregated, homeless, and socially unacceptable. The tiers of society are what most people use to find themselves, which is defined by something as common as green paper and as trivial as skin color. But, Us shows the audience that we are them and that they are filled with wrath for being victims of dividing social constructs. Perhaps that’s why Hands Across America was a failure, as our nation has always been divided in one way or another. Us goes down the rabbit hole to reveal the real evil is the concept of us vs. them and the power of our selfishness that fuels us to invest in it.